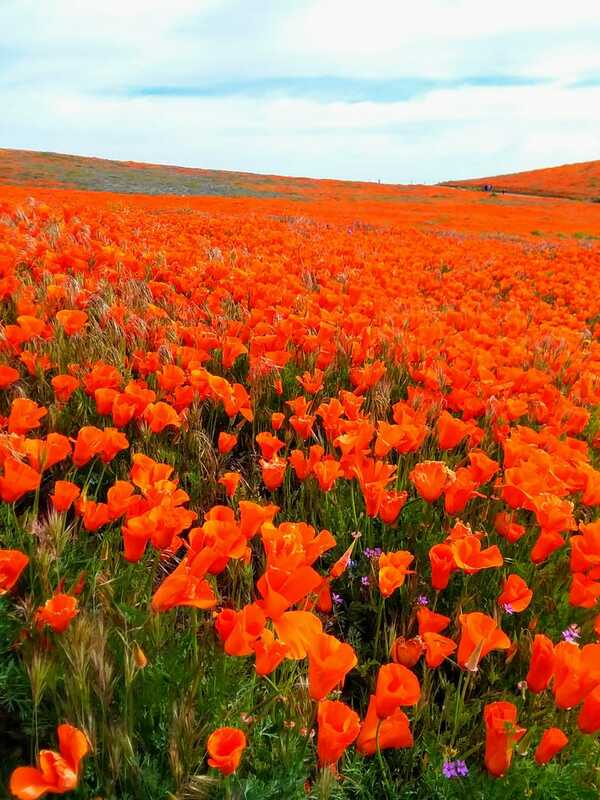 Took a trip to see the poppy super bloom at the Antelope Valley Poppy Preserve today. It was unreal how brightly orange the hills were. It was also unreal how crowded it was. But it was approximately like “the Disneyland of flowers”. Meaning that it’s generally still a good experience even if you have to share it with 10,000 other people. Thankfully we left home around 7am so we were there, parked in the lot before 9. This was before the real crowds showed up, sometime during our hike. The parking lot was shutdown at some point due to over capacity and people were parking miles down the road in order to catch a glimpse of the flowers. It was quite the spectacle and worth it for us though. I was hoping to have completed the Miata purchase by now and this would have been a good place to introduce it. But that has yet to happen, due to another complication. The good news is that the smog check has been completed and everything is good. Bad news is the seller’s daughter had mechanical issues with her car and so the seller might want to instead lend/give the Miata to her. Find out tomorrow from the shop if her car is fixable and then I’ll know if I can still buy the Miata. Sooooo that story is still TBD.. The flowers were frigging sweet though.